Mariell's best selling Wholesale Bridal Earrings, Wedding and Prom Earrings feature Cubic Zirconia Earrings, Swarovski Crystals, Freshwater Pearl Wedding Earrings, Gold and Rose Gold Earrings, Rhinestones, Colors, Fashion and Clip On Earrings to meet every bridal jewelry needs. With the growing popularity of Rose Gold Jewelry and Gold Jewelry, Mariell has expanded our wedding earrings to include many of styles in those colors, in both Pierced and Clip earrings. Mariell's exclusive Wholesale Earrings are designed for Brides, Bridesmaids, Mother of the Bride, Weddings, Proms, Homecomings, Graduations and all Special Occasions. 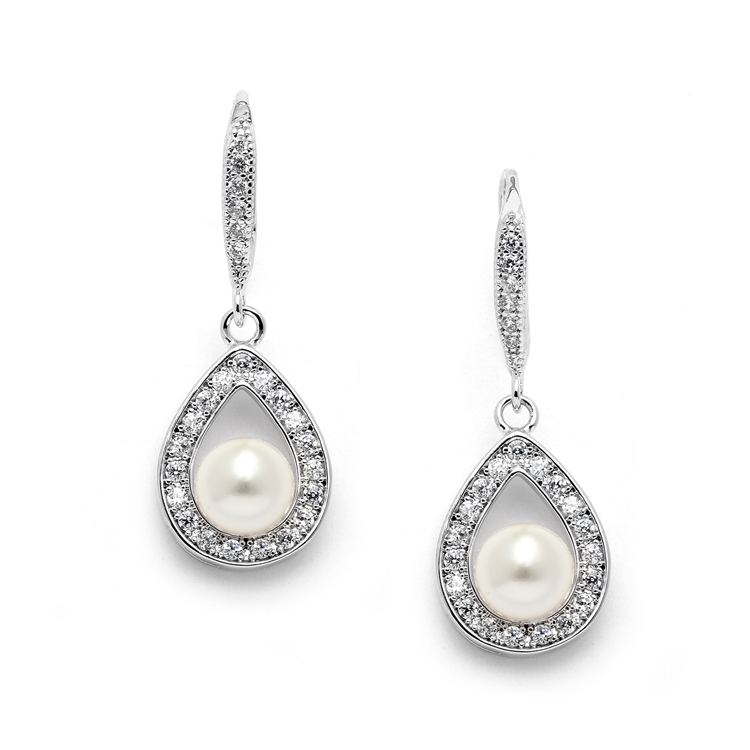 Our breathtaking designs range from tailored CZ stud earrings and pearl drops to bold rhinestone dangles and spectacular Cubic Zirconia Chandeliers at prices to suit every budget. Shop Mariell for all your Wholesale Prom, Bridal and Wedding Earrings! Choose from our fabulous selection of in-stock Earrings for immediate shipping or drop-shipping at low factory pricing. As always, we guarantee the quality and the glamour of every product we sell!